Must be USMCA Certified Coach to apply for this insurance program. Please fill out the 2019-2020 Application (link above). Submit the signed application to Lindsey@USMCA.org. You will receive a secure link to make the payment. A copy of your insurance certificate will be emailed to you from a K&K Insurance representative. Sport Bike Coaches Insurance is $199.00 per year starting February 1, 2019 and ending January 31, 2020. 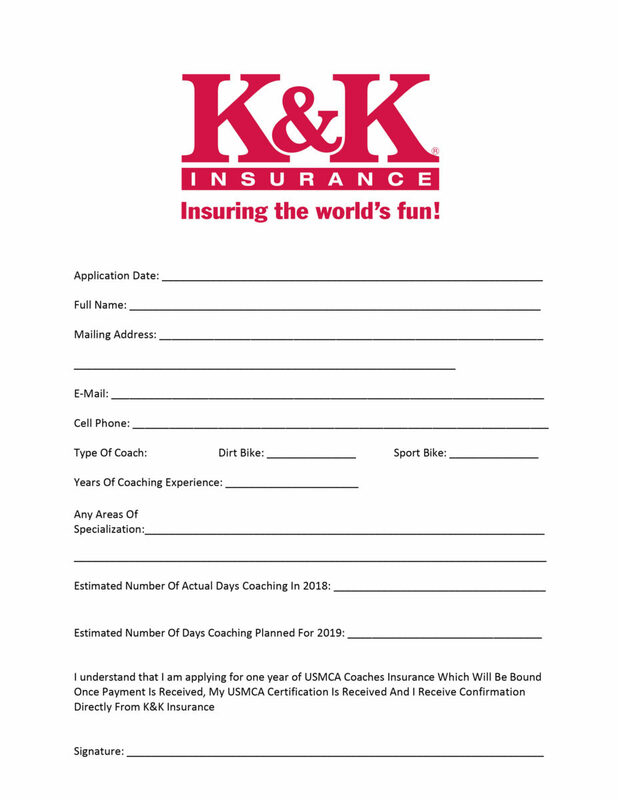 Dirt Bike Coaches Insurance is $395.00 per year starting February 1, 2019 and ending January 31, 2020. ***PLEASE NOTE that you MUST complete the USMCA Coaches certification course (https://canvas.instructure.com/) as the insurance will not bind and we can not provide proof of coverage until coach becomes certified by the U.S. Motorcycle Coaching Association. Questions, comments, or need assistance signing up for Canvas, the online certification course? Please reply to this email or reach out via Lindsey@usmca.org. 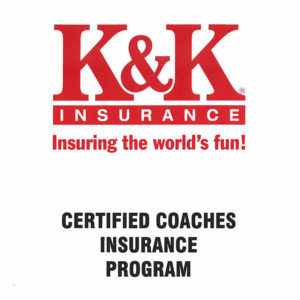 Click the image above to view the USMCA Certified Coaches Insurance Program details.